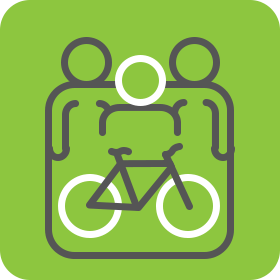 Riding a bike is not only a healthy, fun and affordable way to spend time together as a family, it’s a great opportunity for you and your kids to connect with your local community. Plus, it’s the perfect way to spend quality time together while passing on your own love of bike riding. Picking a Route – how far? Different kids have vastly different abilities at different ages so it’s important to pick a route that’s easy for you to supervise and go at a slow but steady pace. How far your child can ride will depend on their individual strength and stamina. Start with a couple of modest rides (a couple of kilometres) and check in regularly to see how they’re going. If they’re young or relatively new to riding, don’t get tempted to push too hard. When you’re riding with kids, it’s often about the journey, rather than the destination. Having backup contingency plans, shortcuts and a source of extra snacks is always a good idea. Kids can get bored easily too so as you pedal along, take breaks and engage with your surroundings, taking time to point out interesting sites along the way. Another good tip is to instill good bike manners. Make your children aware that most bike paths are shared with pedestrians, and teach them to signal with their bell. Be on the lookout for other bike riders as well and do your best to help your kids be aware too. Communicate with them any hazards you see and get them to pull over to the side if necessary. Parks or trails make great family riding destinations as they’ve got plenty of places to stop, rest and refresh. 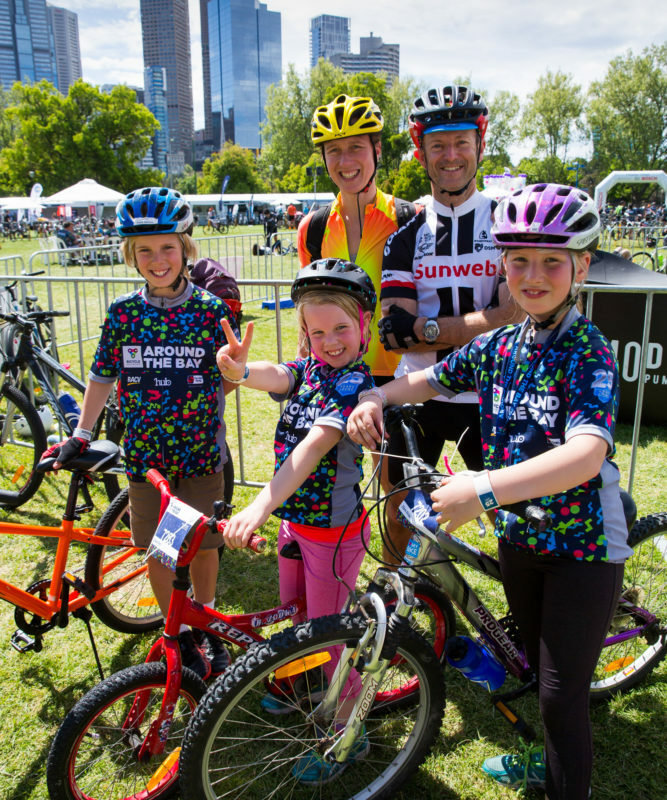 Albert Park, Jells Park and Westerfolds Park along with Melbourne’s network of trails and paths offer plenty of places for off-road riding suitable for all ages. You can choose your distance and cater a route to suite your family’s needs. 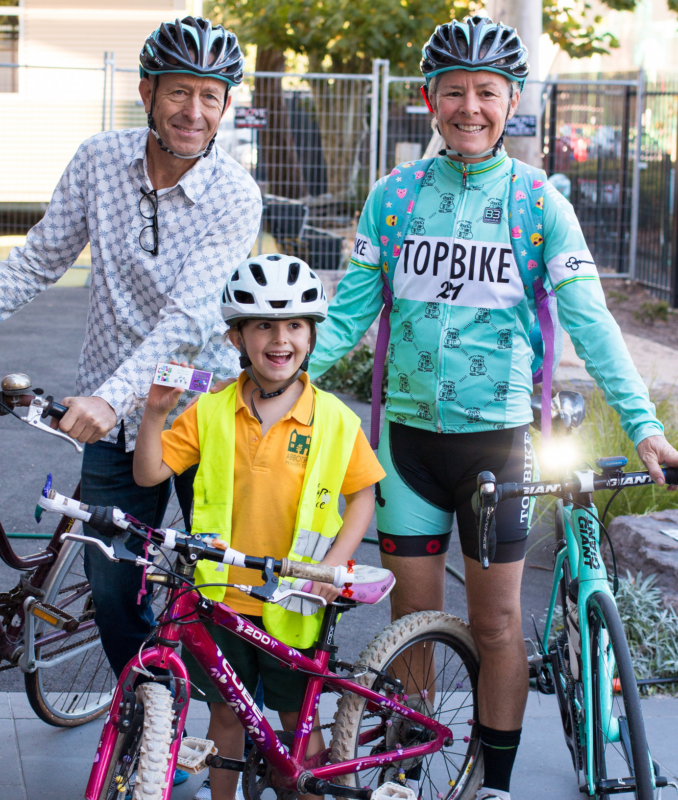 There’s also plenty of great family-friendly rides like United Energy Around the Bay 20km or 50km where traffic management, food, medical, mechanical and on-route support is all taken care of. And when you cross the finish line, you’ll be rewarded with a special medal which is a great motivator. You’ll often find that many of these mass participation events also have special family deals where kids ride free. A day spent at the United Energy Around the Bay works out to be cheaper than a family trip to the movies. The best tip for family bike riding is to make it fun and make it a habit. 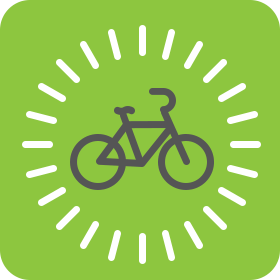 Focus on the fun part of bike riding and make it a regular family activity so that everyone can benefit from being active on a bike. Getting your child ready to ride can be overwhelming if you haven’t done it before. 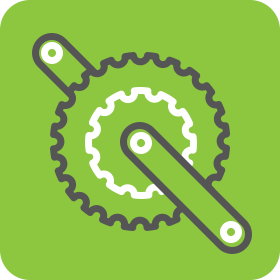 Luckily Ride2School are here to help with their parent portal – a go-to space for anyone with a child learning to ride a bike.